By Stephanie Corkran of SanDiego350, and these six young people of San Diego who were interviewed. “We do not inherit the earth from our ancestors; we borrow it from the children” is a quote attributed to the iconic environmentalist David Brower. Isn’t it time that we listen to what the children have to say? After all, they will be the ones who will inherit an overheated planet with extreme weather events, including intense storms, floods, droughts, and sea level rise. The big question is: Will the children will have their say in court? Juliana v. U.S. is a constitutional climate lawsuit filed by 21 youths, ages 11 to 22. 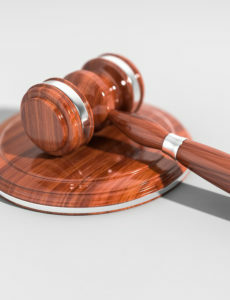 Since climate change is the overarching issue of our times (and perhaps of all time for our species), Juliana v. U.S. may well become the “trial of the century”. The Trump administration, along with the fossil fuel companies, have attempted various legal tactics to kill the lawsuit and repeatedly failed. On July 30, 2018, the U.S. Supreme Court unanimously ruled in favor of allowing the case to be heard. The trial was scheduled to start today, October 29th, however, ten days before the Supreme issued a temporary stay in response to a second petition by the government. The children’s lawsuit asserts that the U.S. government, through its affirmative actions in creating a national energy system that causes climate change, is depriving the youngest generation of the constitutional rights to life, liberty, and property. In addition, the government has a duty to protect essential public trust resources for future generations. If successful, the children’s lawsuit would compel our government to substantially reduce greenhouse gas emissions. The scale of societal change needed necessitates that our government provides the infrastructure and funding to facilitate a rapid transition to a fossil-free economy. 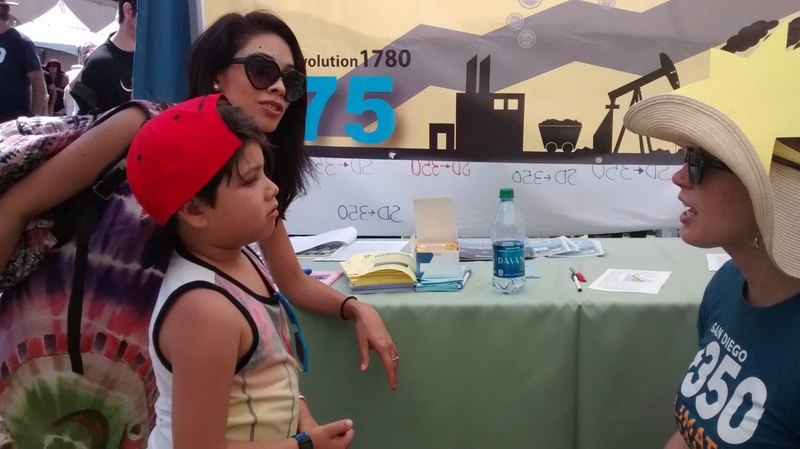 As a volunteer for SanDiego350, I interviewed six young people to discover their views about climate change and the court case. I spoke with Meg, a 23-year-old college student from Rancho Penasquitos and El, a 17-year-old high school student from El Cajon. I also spoke with four younger children: Alex and Max from Escondido (both 12 years), Avery (11 years) from El Cajon, and Danica (10 years) from PB. For readability, I have grouped their responses under each question I asked of them. Some of their responses were very similar; these ones I have paraphrased and identified as a “Consensus” response. What do you think of when you hear the words “climate change”? Consensus: The environment and the weather. How people are polluting by burning oil and the earth is getting hotter. Do you think we (the government /adults) are doing enough to fight climate change? If not – why do you think this is? What are the obstacles? Consensus: For the people in our government climate change is not the priority. Our government and the world are dominated by corporations. People worldwide are causing climate change but only a small group of people are trying to change it. They cannot do it alone. What are some of the things you think we should be doing to fight climate change? Consensus: Bring back reforms that were reversed and rejoin the Paris Climate Accords. We need to teach climate change in schools at a young age. Educate. Are there things that you are personally doing to address climate change? Consensus: My career will be focussed on fighting climate change. I speak the truth to other kids and try to get them involved. When I hear people are misinformed I educate them. I attend climate marches and rallies. I volunteer with SanDiego350 (Avery has volunteered since she was 7 years old). What do you want to tell the judge hearing the children’s court case? Do you feel your rights are being violated by climate change inaction? What do you want to tell the kids/plaintiffs who filed this case? Consensus: You’re my heroes. Thank you for standing up for my rights. In a time when many are apathetic, what you are doing is very powerful. Originally published in the San Diego Free Press on October 29, 2018. Stephanie Corkran, MA, is an anthropologist who works in research at UCSD and a volunteer of SanDiego350. As a Coast Guard veteran, she previously enforced environmental law and responded to oil and hazardous material spills, including the Exxon Valdez oil spill. She supports a vision of social justice that considers the needs of all life, human and non-human. The interviews (by phone or in person) were not transcribed verbatim but main themes were captured. For the younger interviewees there was some communication to ensure I understood what they meant to convey. Sometimes I suggested language substitutions that they agreed to, but the concepts are theirs alone. I attempted to group related responses together to improve readability. Meg recommends the following books to read: Half-Earth: Our Planet’s Fight for Life by Edward Wilson, The Sixth Extinction: An Unnatural History by Elizabeth Kolbert, This Changes Everything: Capitalism vs. the Climate by Naomi Klein. Brown’s Last Chance is a campaign demanding Governor Jerry Brown halt the development of unsustainable, polluting, fossil fuel infrastructure and begin an immediate phase-out of fossil fuels in California. If he’s unwilling to do so, a multitude of organizations (environmental, health, justice, community, consumer) are prepared to protest the upcoming Global Climate Action Summit. This climate summit, held in San Francisco next month from September 12 to 14, was the brainchild of Gov. Brown. It was conceived of in response to President Trump withdrawing the United States from the international Paris Climate Accord. World leaders will be in attendance to continue the work of past international climate conferences to mitigate climate change. There will be numerous affiliate marches and rallies around the world (including San Diego’s Rise For Climate March) to demand a transformation to clean energy and real action on climate change. Gov. Brown and California get a lot of credit for climate change action and certainly market that reputation. The problem is this state and its government during Governor Brown’s reign neglected fossil fuel production as a target for climate change mitigation. Oil and gas production is declining in California, but not fast enough in light of the severity of the climate change threat. This is the last year the governor can serve. The idea of the campaign is to hit now, while media is focused on the conference and environmental issues, and when he is not running for reelection. Perhaps he will be less beholden now to special interests that favor fossil fuel production and buy influence with their campaign contributions. Why the imperative to protest – why a call to action? Nationwide, oil and gas extraction is increasing. California, with its accolades for leading the climate change fight in the U.S. is, in fact, a major contributor to that extraction. Production of fossil fuels is inconsistent with the state’s mandates to address climate change. On the one hand, state lawmakers are currently considering SB 100 which would move up the schedule of clean energy goals — since interim targets of SB 350 have been met ahead of schedule. On the other hand, California is a major producer of fossil fuels. The state needs to stop fossil fuel extraction to avoid the worst risks of climate change worldwide. The consensus of scientists is that fossil fuel reserves need to stay in the ground. Yet, California is ranked sixth in the nation for oil production. And because California has a lot of low-quality oil resources, it takes more extreme, energy-intensive methods to extract it. Indeed, the oil that California extracts is some of the dirtiest on the planet. The state was also recently ranked 13th in gas production. While California gas production has declined, it is still significant and uses the highly problematic hydraulic fracturing (“fracking”) method of extraction. According to the California Department of Conservation, there were 652 oil and gas wells stimulated using hydraulic fracturing in 2014. In 2015, California had 56,653 active oil and natural gas wells. In addition, there was a 17 percent expansion of offshore oil wells in California state waters under existing leases from 2012 to 2016. All this while the state suffers some of the worst health impacts of fossil fuel extraction and use. California is home to eight of 10 of the cities with the worst air quality in the nation. The poisoning of extreme amounts of water (a resource in short supply in this drought-ridden state) via the list of fracking chemicals used is also a hazard to health. Current extinction rates on earth are hundreds of times higher than normal evolutionary background rates. These extinction rates are directly related to our fossil fuel addiction and its impact on the climate. Entire ecosystems are collapsing and if too many links in the chain of biodiversity disappear, the systems that support human life go. We will follow the dinosaurs into oblivion – the difference being that dinosaurs did not do it to themselves. There is a 5 percent chance of cataclysmic climate change by 2050, and a chance of our own extinction. While many will bet on the intellect and industriousness of our species to avoid or survive this threat (humans have gone down to as few as 1000 breeding individuals in our evolutionary past and come back with a vengeance), it will not be possible if we decimate the environment, if we destroy our home. We depend as a species on a functioning biosphere. The World Health Organization (WHO) and U.S. Centers for Disease Control have been preparing for the health risks of climate change that are already occurring and will escalate. The thin veneer of civilization will likely break down as food becomes scarce, infectious disease runs rampant and mass migrations of people — whose homelands will no longer support human life — spawn warfare and further destruction of the environment. Social and political structures in place are insufficient to deal with current levels of disruption. We already see waves of refugees in Europe and the U.S. reacting to degraded environments from prolonged drought and competition for resources. And we can expect more. Both the U.S. and Europe are struggling to process the numbers of asylum seekers. Xenophobia and backlash against migrants are escalating worldwide. What will happen when disruption is on the scale of a climatic apocalypse? We are an overpopulated speciesthat has outgrown the carrying capacity of the earth. Without our technology, mass communication and a worldwide distribution system of resources, we may revert to the savage. Campaign contributions from big oil impact whether our elected representatives will end fracking in this state. Gov. Brown has strong ties to fossil fuel companies and utilities that may have hampered his ability to take a stand on fossil fuel extraction in the state. Recently the Democratic National Committee passed a resolution stating they will no longer accept donations from fossil fuel companies. “Fossil fuel corporations are drowning our democracy in a tidal wave of dark oily money; they have deceived the public about the impacts of climate change, fought the growth of clean renewable energy, and corrupted our political system,” the resolution reads. Individual Democratic Party candidates are not required to follow suit, but the example is set. Now it is up to the people (us) to raise our voices to demand this same standard be upheld by candidates running for elected office and those already in elected office. There is no neutral position. To do nothing is aiding the perpetrators of climate destruction. Inaction means you are siding with the polluters who are sentencing all life on this planet to extreme suffering. Do something — and do it now! Join others who are willing to fight for climate justice and be part of the solution. The sacrifices we all must make will seem trivial if we are successful in saving our beautiful home and her inhabitants. If you intend to fight for life, attend the September 8th Rise for Climate March, San Diego, contact Gov. Brown, and sign Brown’s Last Chance Petition. Originally published by the San Diego Free Press on August 17th, 2018. Stephanie Corkran, MA, is an anthropologist who works in medical research at UCSD and a volunteer of SanDiego350. She is a Coast Guard veteran who enforced environmental law and responded to oil and hazardous material spills, including the Exxon Valdez oil spill. She supports a vision of social justice that considers the needs of all life, human and non-human. California will soon decide whether to combine its electric grid management with western states dependent on coal mining and coal-based electricity. This massive change has been proposed in the form of Assembly Bill 813 and before that in Assembly Bill 726. If passed, either of those bills would provide an avenue for coal-fired electricity to gain access to the California market. This would make the transition to renewable energy even harder. Unifying California’s grid operations with other western states would be a huge risk. Thankfully better options are available. 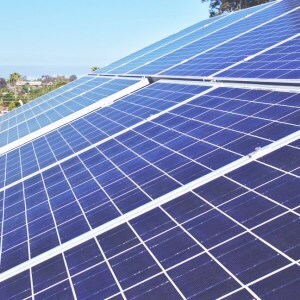 On March 13th, the City Council of La Mesa unanimously adopted a strong Climate Action Plan (CAP), with a goal of 100% clean energy. This victory came after three years of persistent advocacy and organizing efforts by SanDiego350 La Mesa volunteers and our allies. Juliana v. U.S.: A healthy planet – worthy cause or a right? The debate on climate change in the U.S. is taking an unexpected turn. New questions are being raised, not about whether a healthy climate is a cause the government should support, but rather a human right they must defend. Twenty-one youths, in conjunction with Earth Guardians, say it’s a human right, and have sued the U.S government. Their case, Juliana v. U.S., has been pretty promising so far. Since its inception in 2015, it’s already become one of the most widely discussed lawsuits in the history of the environmental movement. A bill to reform the San Diego Association of Governments (SANDAG) has made its way past both houses of the State legislature and now awaits the Governor’s signature. AB 805, introduced and sponsored by Assemblymember Lorena Gonzalez Fletcher, would change the structure and voting process of the SANDAG Board of Directors. The Board consists of elected officials from 18 cities and the County. Gonzalez-Fletcher held a press conference this past week to urge the Governor to sign her bill. The legislator was joined by San Diego Councilmember Chris Ward as well as councilmembers from Encinitas and National City. Gonzalez-Fletcher was surrounded by two dozen supporters, including members of the Quality of Life Coalition, Environmental Health Coalition, and SanDiego350. 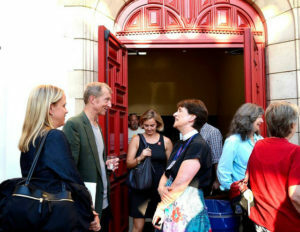 Over 400 San Diegans arrived at St. Paul’s Cathedral in Hillcrest Thursday evening to hear a decisive, energetic message on clean energy and climate action from climate advocate and philanthropist Tom Steyer. 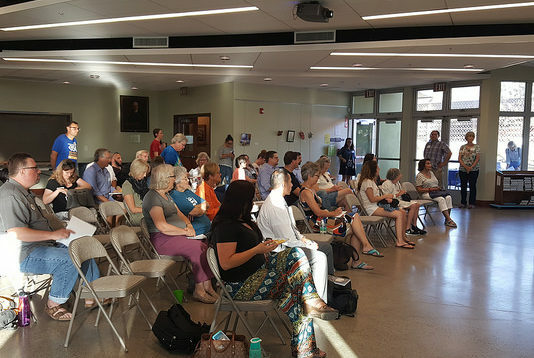 The public talk, organized by grassroots climate action organization SanDiego350, was co-sponsored by over 20 San Diego community groups. In a week of devastating natural disasters and controversial political announcements, the clarity of Steyer’s clean energy message was warmly received by a fired-up audience. Welcoming remarks by the cathedral’s Dean, Penny Bridges, soberly reflected the urgency of the evening’s discussion, and a moment’s silence was held for victims of recent natural disasters: Hurricanes Harvey and Irma; wildfires on the West Coast; flooding in Pakistan and Bangladesh; landslides in Sierra Leone. We have known for 50 years or more now that the effect of releasing millions of years of biologically-captured carbon into the atmosphere through the burning of fossil fuels would trap infrared heat radiation. According to James Hansen, formerly the top climate scientist at NASA, our climate is stable when the level of carbon dioxide does not exceed 350 ppm in earth’s atmosphere. Community Choice Energy has been taking California by storm. 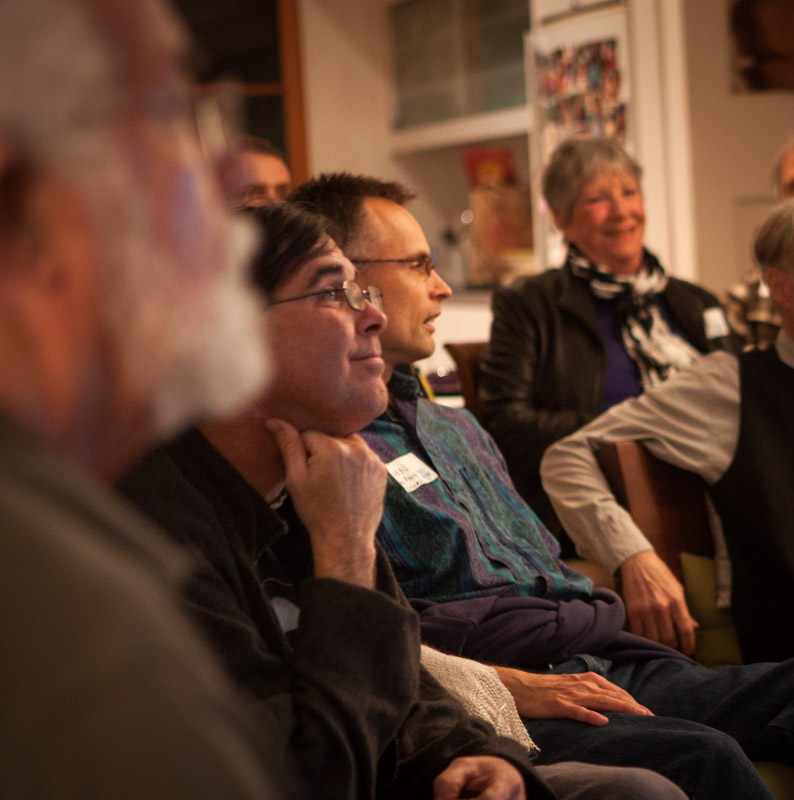 The overwhelming support for and adoption of Community Choice Energy (CCE) only makes sense. All eight operational CCEs across the state charge lower electricity fees than their utility competitors while providing higher renewable energy content. Consumers save money while their children breathe less polluted air. 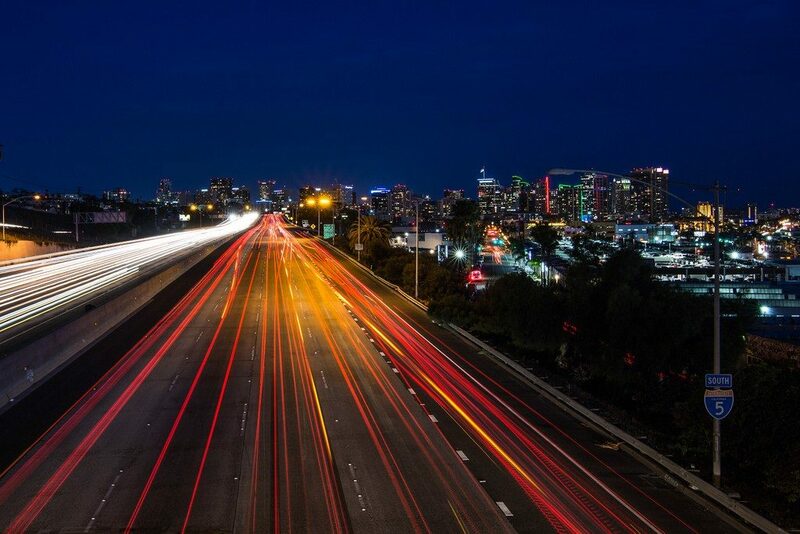 However, here in the city of San Diego, the mayor and some City Council members have been dragging their feet instead of racing ahead to get the same program up and running locally. 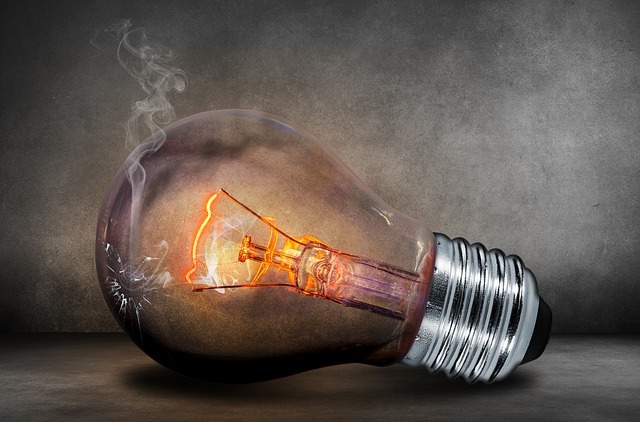 Sempra promotes itself as an upstanding community participant with only the best intentions for its customers, but in conjunction with SDG&E, it charges exorbitant rates and fights tooth and nail behind the scenes to maintain its monopoly. It does so at the expense of electricity consumers. SDG&E and its parent company Sempra have been misleading customers about their stance on Community Choice Energy (CCE). By reviewing Sempra marketing material and comparing Sempra’s statements to its actions, a clear pattern of misdirection and exploitation emerges. CO2 levels continue to rise well above the target of 350 ppm last observed in 1988.